My name is Katarzyna Geraghty. I'm a teacher in a Secondary school in Poland. I teach English as a foreign language. My aim as a teacher is not only to teach the vocabulary and grammar of the English language but also the culture of the countries where this language is spoken. I try to teach my students about history, geography and literature of the English speaking countries. I am an English Teacher in a secondary school. 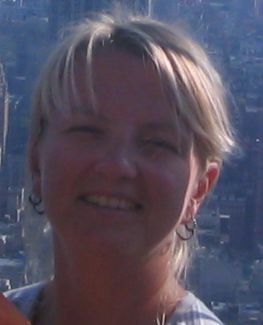 I have been teaching English as a foreign language since 2002. In the beginning of my carrier I worked in a primary school which I liked. Working with children who are enthusiastic about learning new languages is great. But after 3 years I got a job offer in a local secondary school which I accepted. To me work in a secondary education is challenging. I work in one of the best schools in the region with the best students and teaching them requires from me to constantly develop myself as a language speaker and tutor. In my classroom I don't only teach language skills but my students also learn about the cultures of English speaking countries. During the school year I organise competitions about English speaking countries culture, an English song competition and stage Englisg speaking plays with my students. So far I have taken my students on a trip to London, UK twice. The trip was a great success with the students. They liked visiting the most interesting places in London and communicating in English. This trip was a great test of their English skills and it was a success. Thanks to my work I was awarded a scholarship from the State Department of the USA in 2012 and went on a 6-week teacher training to the USA. I met a lot of great teachers from around the world with whom I'm going to be working on different cultural projects. I would like to cooperate with teachers from other countries on cultural projects. I would like my students to learn more about other cultures and the history of other countries. I'm interested in travelling, photography and i love skiing in winter. It's a competition that I introduced into my school's calendar and which I prepare myself and supervise. The questions for the cometition are varied. Some very difficult and some very easy. However the studetns will learn the right answer after their own. The aim of this competition is to check the knowlegde of the culture of the English speaking countries but most importantly to have fun. 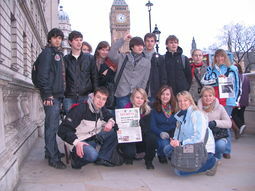 Every year I try to find students who would like to visit the capital of Great Britain - London. We sapen 6 days in London which gives us an opportunity to see many interesting places. 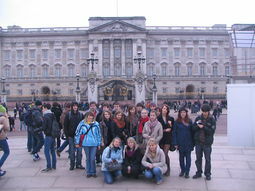 We usually visit: Westminster Abbey, Windsor CAstle, St. Paul's Cathedral and many more. I have taken my students on two London trips so far. Both trips were a great experience for me and my students. We visited many interesting places in and out of London. I'm sure there will be more trips to follow. <I usually do an exchange for the whole school year which is from 1st Sept - 15th June>. This page was last modified on 30 September 2013, at 18:00.